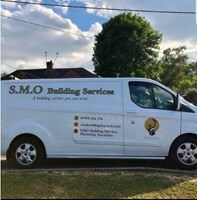 S.M.O Building Services Plastering Specialist - Plasterer based in Haslemere, Surrey. My name is Shane, I have worked for a local reputable builder and plasterer for fifteen years before starting my own business. I have been plastering for twelve years and carry out all aspects of plastering including Dry Lining, Rendering, Pebble Dash, Screeding and Coving. I take enormous pride in my work and strive to deliver a great experience and quality from the first meeting to the completed job. Most of my work is from recommendation and my quotes are free and my work is guaranteed and fully insured. Feel free to visit my Facebook page.